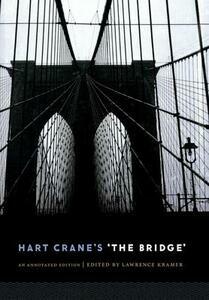 Hart Crane's long poem The Bridge has steadily grown in stature since it was published in 1930. At first branded a noble failure by a few influential critics- a charge that became conventional wisdom-this panoramic work is now widely regarded as one of the finest achievements of twentieth-century American poetry. It unites mythology and modernity as a means of coming to terms with the promises, both kept and broken, of American experience. The Bridge is also very difficult. It is well loved but not well understood. Obscure and indirect allusions abound in it, some of them at surprisingly fine levels of detail. The many references to matters of everyday life in the 1920s may baffle or elude today's readers. The elaborate compound metaphors that distinguish Crane's style bring together diverse sources in ways that make it hard to say what, if anything, is "going on" in the text. The poem is replete with topical and geographical references that demand explication as well as identification. Many passages are simply incomprehensible without special knowledge, often special knowledge of a sort that is not readily available even today, when Google and Wikipedia are only a click away. Until now, there has been no single source to which a reader can go for help in understanding and enjoying Crane's vision. There has been no convenient guide to the poem's labyrinthine complexities and to its dense network of allusions-the "thousands of strands" that, Crane boasted, "had to be sorted out, researched, and interwoven" to compose the work. This book is that guide. Its detailed and far-reaching annotations make The Bridge fully accessible, for the first time, to its readers, whether they are scholars, students, or simply lovers of poetry.